See all headlines of your interest with this watchface rss reader on your wrist! Go to next headline by double tapping on the right side, go back to recent headline by double tapping on the left side. Choose between different fonts, formats and themes by double tapping on the top of the watchface. You can add new rss feeds by using a browser on your PC, when your in the same wifi network and have wifi connected on your Gear S2. Just open options screen on the watchface and enter the given URL in your PC browser (or maybe on your Tablet too). Here you can easily copy and paste your favourite rss urls in the web form. 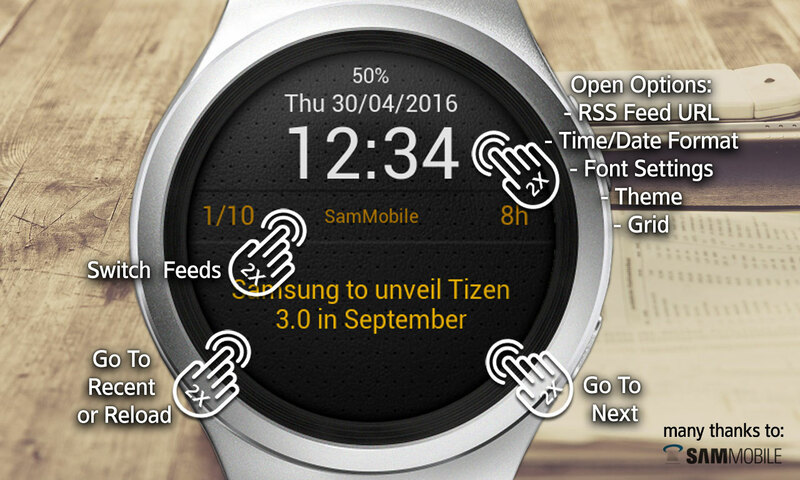 To choose between rss feeds double tap the middle info line on the watchface. 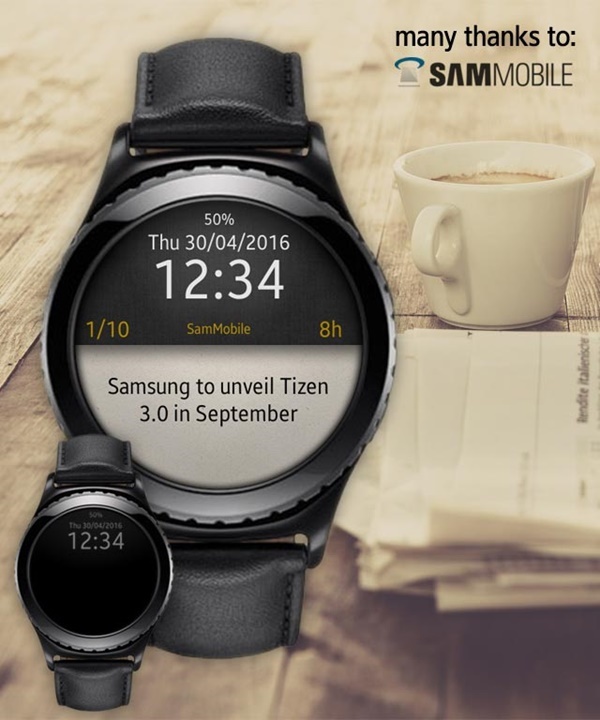 If your Gear S2 online - that means your in a wifi, or have your paired smartphone near or just have 3G/eSim on your Gear - then the news will be automatically updated. Hint: The english date format is preset (DD/MM/YYYY). Please go to the options and change the date format to your needs. 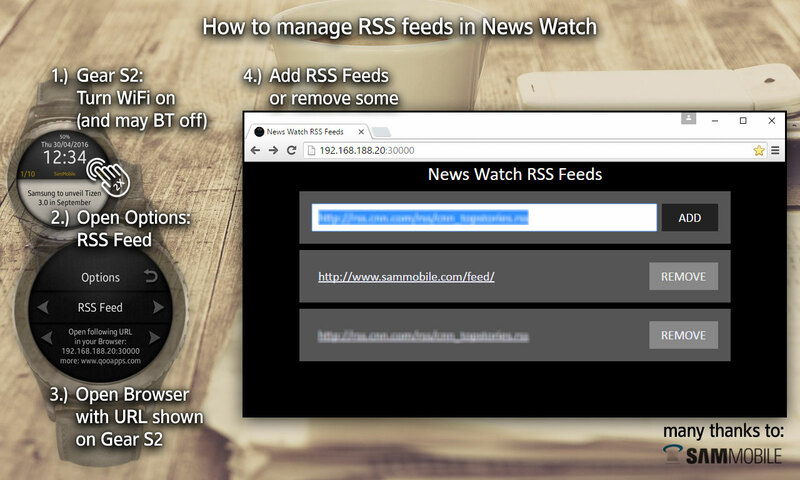 The News Watch comes with the SamMobile RSS feed. Many thanks to the guys of SamMobile for the permission to user their feed!